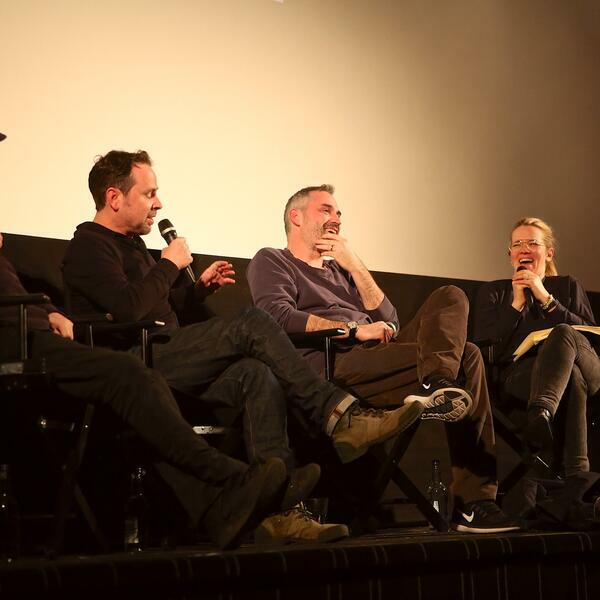 It's another very special Soundtracking this week as we take you to the Everyman Cinema in Hampstead, where director Alex Garland and his composers Geoff Barrow and Ben Salisbury came together for a Q&A following an exclusive screening of Annihilation. As you may know, the film hasn't had a cinematic release outside the US. You can, however, watch Annihilation on Netflix, and it's well worth your time if you haven't seen it already. Unusually for us, there a couple of spoilers in this episode too, which is all the more reason to check the movie out. Before Alex joined everyone on stage, Edith caught up with Geoff and Ben in the bar to discuss their other work, specifically on Ex Machina and Ben Wheatley's Free Fire. Their first score together was for Dredd. At least, it would have been had the studio not decided it wasn't suitable for the film. Thankfully, they shared their efforts anyway under the guise of Drokk. And it's with a spot of Drokk that we began - which basically means you're in for a real treat.